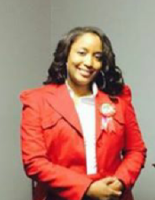 The owner, Jolyn Schexnydre, LPC-S, NCC, is a Licensed Professional Counselor and National Certified Counselor. Mrs. Schexnydre is also a certified Clinical Supervisor for Mental Health Professionals and Multi-Systemic Therapy Supervisor. Mrs. Schexnydre is a member of the following national and local organizations: American Counseling Association (ACA), Louisiana Counseling Association (LCA), National Alliance on Mental Illness (NAMI), Chi Sigma Iota National Counseling Honor Society, and Delta Sigma Theta Sorority, Inc. She uses the cognitive behavior approach and various forms of therapeutic treatment when helping her patients get through life’s trying times.